Whether you are new to cannabidiol (or CBD) or have been in the know for some time, if you’re reading this, you are likely looking to take advantage of its various medicinal benefits. Looking into it, there is so much information out there in cyberspace and the news, much of it controversial and contradictory. If you stumble upon credible sources, it can be difficult to sift through the technical jargon and get to the knowledge you can actually use! Then, when you do find something substantial in your research, you might start to wonder what the right products are for yourself as well as how should you use them. HealthyHempOil.com works to make information on CBD simple and straightforward and to make the best and safest products easily accessible to you. Along with the Dixie Botanicals product line, HHO is proud to have many CBD products available. The more you learn about Dixie and other CBD products, the more you will understand why the brand is in high demand. In looking at these products, particularly from Dixie Botanicals and Herbal Renewals, you’ll find a great way to get started with or supplement your use of CBD oil. When it comes to overall value, the Dixie Botanicals product line quite simply fits the bill. CBD is known for having neuroprotective traits that protect against inflammation, nausea and the like. The line maintains a high standard in providing safe and effective remedies for chronic pain at a valuable price. Not only are Dixie products meticulously tested by Food Safety Net Services and ProVerde Laboratories, they also keep their consumers updated about their quality. You can feel safe using them, and you can also rest assured that you are getting the best in quality. We offer some of the best Dixie products, including balm and unflavored pills as well as Dixie Botanicals dew drops. HHO provides you with informational videos on how to use these great new tinctures. Be sure to look for dew drops hemp oil, and you’ll also find more on the different benefits Dixie’s products provide. HealthyHempOil.com brings you the best in products and value. The Dixie product line is great to either get started in your use of CBD or if you’re looking for something additional to add to your routine. If you want to explore further, you can also check out Hempotion’s Cannabidiol Extract. Dixie Botanicals dew drops are an easy way to use CBD oil. It doesn’t matter if you are new to the Dixie line or to CBD in general. These tinctures are simple to use, and their subtle but powerful effectiveness allows you to experiment safely so that you can familiarize yourself with your dosage. Learning to understand your own needs is a big part of healing and requires some experimentation. This can more often than not be a tedious and frustrating process for those who aren’t quite sure yet how to go about starting and simply want relief from their ailments. With the eyedropper that comes with the tincture, you will have an easy time adjusting your oil intake as you get a better idea of what gives you the relief you are looking for. With the 100 mg bottle, you get 80 servings of CBD. Keep track of your reactions to the use of new products. Also monitor how you feel not just about the product but also how it may improve your lifestyle. Ask yourself, “Is this routine simple enough for me to maintain?” A part of experimentation is asking yourself honest questions. If you see yourself doing something consistently, then your lifestyle will improve along with your health. Once you’ve been able to establish your personal hemp intake and routine, this can turn out to be a very economical alternative as opposed to the pricey chemically-altered medicines we are used to. Apart from finding the right information, discovering what is best for you is essential to an overall healthy life. Start phasing in what you recognize as adding value, and you’ll naturally discover what doesn’t! All of the products that we provide are equally suitable for those who are regular users of CBD and simply require a safe way to increase their dosage. 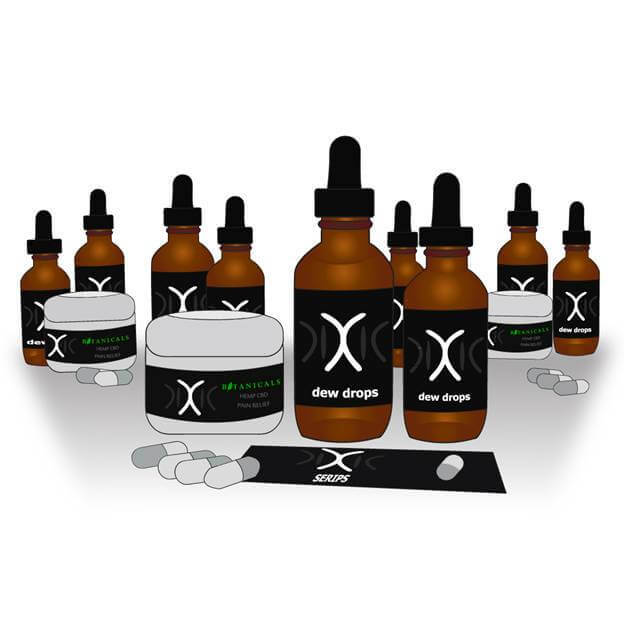 If you are familiar with hemp oil and recognize that you require a higher dosage, you may want to consider the Extra Strength Dixie Botanicals dew drops. This product will give you more bang for your buck. In this bottle, you get 160 servings, and drops are actually 2 ½ times more potent than the 100 mg version. Depending on your routine, there is potential for a lot of added value here. Healthy Hemp Oil can help customize your experience so that you know not only which products are right for you but how to use them. Be sure to check out the CBD hemp oil reviews. The other products from Dixie that we provide include the Hemp Oil Salvation Balm and the unflavored CBD Pills. These two great products offer natural healing without any chemicals. In the Salvation Balm’s list of ingredients, for example, you will only find names of the most common natural healers. The unflavored pills are another example of simple ingredients mixed together to be used in a powerful way. Another convenient element about them is that they have no taste – appealing to those of us who aren’t partial to hemp – but offer a higher dosage than your average tincture can provide. Those interested in a variety of CBD delivery formats might also want to take a look at Herbal Renewals’ CBD Spray, which delivers the power of CBD in two squirts. The process of researching natural remedies can be as frustrating as the pain itself. Healthy Hemp Oil is determined to get you the right information so that you can more easily find the right answers to your needs. Bringing you valuable information is our goal so that you can make an informed and confident decision for yourself. For those who are considering CBD as an alternative to pain relief and improved health, the Dixie Botanicals product line supplies great tools to help customize your needs and ease your CBD experience. And if Dixie’s not for you, Health Hemp Oil can help you narrow down just the right product line to suit your needs. What helps make the research process easier for you? Let us know in the comments below.